Forgotten is our peculiar urban folklore, yesteryear’s spontaneous fun of small Israeli kids rapidly rolling off their tongues the names of assorted Syrian tyrants. This singsong accompanied sidewalk games and was a staple of silly summertime tongue-twister contests. Nobody then remotely believed that riots and havoc in neighboring autocracies could betoken the rise of democracy in the Arab-speaking sphere. But for too long we’ve lost touch with our not-so-distant past, a time when recurrent “Arab Springs” were once announced with dizzying frequency. In Syria especially they followed in furious succession until, in 1970, one Hafez Assad proclaimed the longest-lasting self-styled spring and actually managed to pass on control of the abundant Damascene sunshine and blossoms to his son, Bashar. Both Assads’ nastiness and penchant for massacres were hardly unique in their country. Syria spawned carnage and “popular uprisings” a dime a dozen. Only the durability of Assad-dynasty despotism was unusual. Nonetheless, now – having learned to view the world through the tinted lenses of hypocrite Europe and bedazzled America – we, too, fall for the “budding democracy” babble. But back in the less-blinkered day, our assessments were more clear-headed. Never would we ascribe high-mindedness to Syrian power-grabbers. Rather than be wowed, we laughed. Incomparable satirist Shai K.(Shaikeh) Ophir popularized a sidesplitting routine consisting of a roll-call of Syrian tyrants going back to 1948. He recited them with what in hindsight appears like a forerunner of fast-paced rapper-style chants. It was so all the rage that little pigtailed girls skipped rope and did hopscotch stunts while rhythmically intoning a sequence of rhyming names like Adib Shishakli and Shukri al-Quwatli. For a while, these were basic fare at Israeli playgrounds. Ophir’s register of names began with Husni Za’im, who led the Syrian army’s attack on newborn Israel in 1948 and then overthrew president Shukri al-Quwatli and imprisoned him. Za’im’s reign, alas, lasted merely four-and-a-half months. He was summarily executed by his deposer Sami Hinnawi. But before Hinnawi could get comfortable in the boss’s seat, he was unseated by Adib Shishakli and assassinated in 1950. All three coups occurred during 1949. 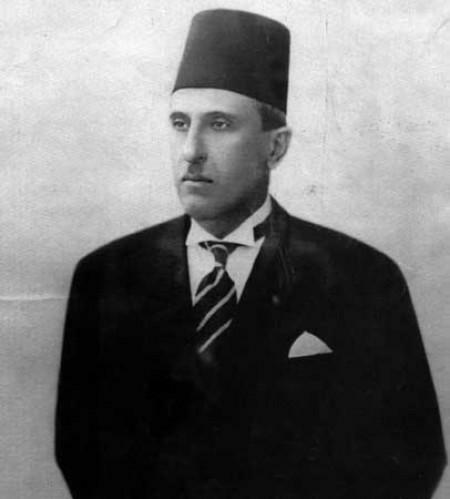 Shishakli refused to allow the integration of Palestinian refugees into Syrian society, and he shelled Druse villages to quell their resistance (a common practice by Syrian conventions). He was toppled in 1954 and ultimately assassinated in his Brazilian supposed safe-haven. Next came caretaker president Hashim al- Attassi, who already had behind him two stints in power as president and two as prime minister. In 1955 he was replaced by that old favorite, Shukri al-Quwatli. Between 1946 and 1956, Syria had 20 governments and four florid constitutions. In 1958 al-Quwatli amalgamated Syria with Egypt, forming the United Arab Republic. Formally Syria’s president was Egyptian Gamal Abdel-Nasser, whose 1956 defeat catapulted him to the status of a pan-Arab hero. Within a few weeks, al-Quwatli was betrayed, and his Damascus power base was usurped by Salah Bitar and Akram al-Hawrani. The latter was Nasser’s Syrian deputy, until they began to bicker. By 1959, al- Hawrani had to flee Syria. In 1961 Abdel-Karim al-Nahlawi overthrew Nasser’s men in Damascus, and Syria became a separate entity once again, a fact that didn’t discourage Egypt from exploiting the UAR epithet till 1971. Syria was now a Ba’ath stronghold, but different factions within that party battled each other with vengeance –literally. 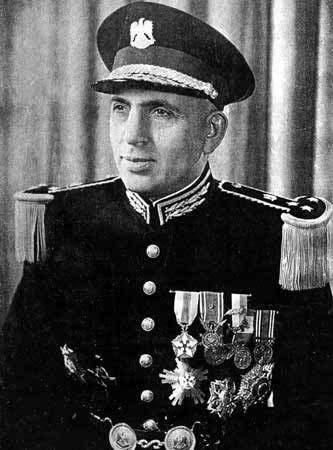 Nazim al-Qudsi was Syria’s first post-UAR president. Upon his removal, Luwai al-Attassi presided for four months till Amin al-Hafiz replaced him, ruling the roost from mid-1964 to early 1966, when Salah Jadid ousted Hafiz. It’s roughly here that Ophir’s long lampoon ends, replete with many more names than mentioned above. In time, Jadid was booted out by Hafez Assad, and the epilogue is now unfolding before our credulous eyes. Suffice it to note that the miscellaneous short-lived dictatorships served the interests of incompatible components of what’s misguidedly known as the Syrian nation. They all waxed ecstatic about democratic and reformist virtues. Way back, though, no Israeli was naïve enough to take any of the ornate rhetoric seriously. Today, intellectually indolent molders of public opinion – smugly dismissive of the lessons of history – not only fall for the fallacy but excitedly hype it. It’s little wonder that most of the international community has lost sight of what Syria was and still is. In the mix feature ignorance and fatigue, along with lots of economic and geopolitical interests. It was expedient for the world to turn a blind eye to truth. For us here, however, it was nothing but unimaginable folly. We should know better – if only because of proximity and because our self-preservation concerns behoove us not to disregard reality. Assad never took back these words nor so much as pretended to have softened. Unsurprisingly, White House residents and perfidious Europeans pressured little unloved Israel to indulge the Damascus despot by inordinately imperiling the Jewish state’s survival prospects. Predictably, Israel’s own priests of pragmatism rushed with alacrity to ingratiate themselves and decree that by ceding the Golan to benign Syrian rule, we’d be blessed with blissful coexistence. This encapsulated the homegrown omniscients’ dalliance with Assad-the-father. Staggeringly, their enthusiasm for concessions soared after he went the way of all flesh and his son inherited the blood-stained Assad mantle. Our in-house experts uncannily perceived the agreeable aspect of Bashar, the lanky ophthalmologist with a supposed Western orientation. Bashar, we were tirelessly preached to by retreat-promoters, looks less totalitarian than his dad. He’s just the gawky guy next door who might make a nifty neighbor if we only try hard enough to win him over. Yet, confoundingly, life refuses to mesh with established Israeli wishful thinking. Much to the embarrassment of our indefatigable deal-peddlers, Bashar’s own citizenry is exceedingly less mesmerized by him than his Israeli boosters were until quite recently. There’s no getting away from the fact that paying off dictators to secure a semblance of accommodation is a losing proposition, because eventually dictators disappear. With them vanishes the peace we’re required to fork out for. There’s no Better Business Bureau or Customer Service to refund Israel’s hefty, tangible and eminently risky investment in land-for-peace fantasies. Thank heaven the Golan is still ours – a buffer between our small sliver of a state and the Syrian mayhem. Imagine our misfortune if Assad’s tanks were parked on the shores of Lake Kinneret. Hopscotch and jump-rope are optional. Your retelling of recent history with Israel’s bloody neighbors is another good reminder that we can always count on God to keep His word and always count on mankind to completely ignore and miss it. THE GOLAN = ISRAEL ! THE GOLAN IS JEWISH LAND ! We leave our rationality behind when we deluded ourselves into thinking our enemies think just like us. Our sense of fair play and tolerance may very well destroy us. PS: to surrender the Golan is tantamount to suicide. Yes, indeed. And never forgot that one of the leading advocates of committing suicide by returning the Golan is none other than: Defense Minister Ehud Barak. And in a government that proclaims itself to be Zionist and nationalist right-wing! So where should Israelis look to avoid leaders pursuing the path of suicide?? “the lanky ophthalmologist with a supposed Western orientation” – and “a reformer,” according to Hillary Clinton. The US may in the short run afford her, Obama and Panetta (“the sad man,” as my London friend’s little daughter called him when seeing him on TV; she also asked if his girlfriend had chucked him and suggested he should pull himself together; I had to explain he was America’s Defence Minister, there to protect us all). The Roman Empire also took its time to disintegrate. For Israel, such delusions can be suicidal. According to Israeli Defence Minister, Assad should have disappeared long ago. In a normal country, as tiny and vulnerable as Israel, surrounded by blood-thirsty enemies, at the time of an existential threat, such glaring lack of understanding of what’s happening would have led to his resignation. But Barak, the man responsible for the country’s defence, continues singing merrily along and devising stratagems to defeat the Jewish settlers in Judaea and Samaria. This history lesson is well taken for we who live far away from Israel (U.S.). But nevertheless welcomed. The lessons of history are not attention grabbers for succeeding generations. So this written word is necessary often. Arab tribes have been at war with each other since the time of Ishmael. And that will continue until the battle of Ezekiel 38-39 when Gog will descend from his tribal habitat in the north to destroy Israel. He will be joined by hordes of other Arabs who will be so rattled by the God-actions of ground shaking, skies falling, mountains collapsing and other significant earthly events that they will lose control of themselves and go about fighting each other in their ranks and destroy themselves in the process. Israel won’t be scratched! In fact the people of Israel will spend 7 months burying the Arab+ dead to cleanse the land. God is standing with Israel throughout these trying days when it appears that enemies on all sides have their children singing little songs about the extermination of their enemy, Israel. This in spite of the sad fact that this nation has long since quit worshiping Him like they should be doing. But God hasn’t forgotten Israel’s favored position in His plan. He will take care of its enemies. So be it!! Amen!! Brilliant article saying in a few words far more than any resolutions or pronouncements of the Arab League, the General Assembly and the Security Council. They should all be hanging their heads in shame in allowing the slaughter in Syria to go unchecked. Should be compulsory reading for all these boffins who should be given a right of reply – if they dared. The only lesson to be drawn from the Syrian revolt is that Syria is in no position to assist Iran for now. Now is the time for Israel to act against the Iranian bomb. Actually Israel should attack Iran either before or even after they get the bomb, and by whatever means available, and either the cost of oil or its isotope content be hanged.